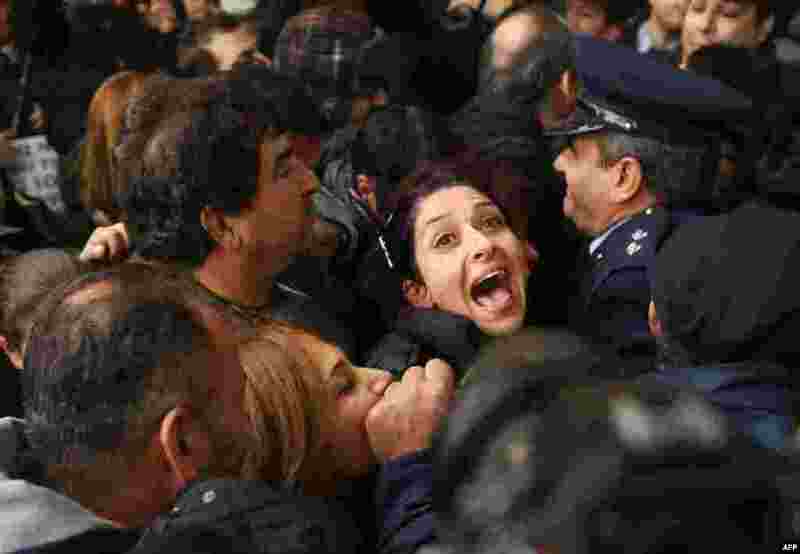 1 A Cyprus Airways employee shouts as she is pushed against a police line at the Ministry of Finance in Nicosia during a protest against the closing down of the airline. 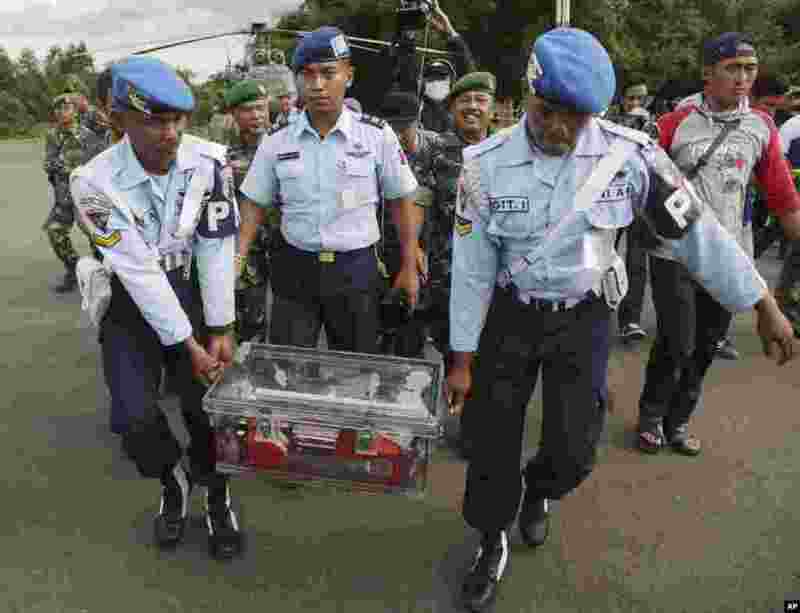 2 Indonesian air force personnel carry the flight data recorder of the ill-fated AirAsia Flight 8501 that crashed in the Java Sea, at the airport in Pangkalan Bun. 3 Residents smoke a hookah in snow-covered Jizeen, southern Lebanon, Jan. 11, 2015. 4 Joanne Froggatt poses with her award for Best Supporting Actress in a series, mini-series or TV Movie for her role in Downton Abbey backstage at the 72nd Golden Globe Awards in Beverly Hills, California, Jan. 11, 2015.